10gen, the company behind the MongoDB database, recently announced the availability of the MongoDB Backup Service. This is not a traditional backup service, though. Rather than simply sending scheduled snapshots of the data over to a remote system, the backup service has an agent sitting next to the database that monitors its operation log, and streams the individual operations over to the remote backup servers. This model enables the service to offer some non-conventional features, such as restoring the state of the database at any point in the last 24h, in addition to more traditional snapshots over longer periods. There’s another interesting fact about how the system was developed: the backup agent is also the first software 10gen releases that is written in the Go language. Reportedly, the agent started as a Java project but, as the project matured, the team wanted to move to a language that compiled to native machine code to make it easier to install. 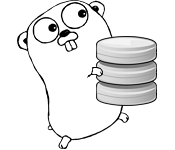 After considering a few options, the team decided that Go was the best fit for its C-like syntax, strong standard library, first-class concurrency, and painless multi-platform support. Programming the backup agent in Go and the mgo driver has been extremely satisfying. Between the lightweight syntax, the first-class concurrency and the well documented, idiomatic libraries such as mgo, Go has become my language of choice for writing small scripts up to large distributed applications. The mgo driver is a real pleasure to use. The code is of high quality, the documentation is thorough, clear and detailed, and the API is a thoughtful, natural blend of idiomatic Go and Mongo. Those are encouraging words, Daniel. It’s great to see not only 10gen making good use of the Go language for first-class services, but contributing to that community of developers by providing its support for the development of the Go driver in multiple ways. Good chance to say thanks! This entry was posted in Go, Java, MongoDB, Project. Bookmark the permalink. Good to see more and more GO in production. Is the remote backup server also in GO ? Is the mgo driver used by the agent or at server side. The agent is indeed the first one to have been made public. Congrats! This is an awesome achievement for you and mgo.